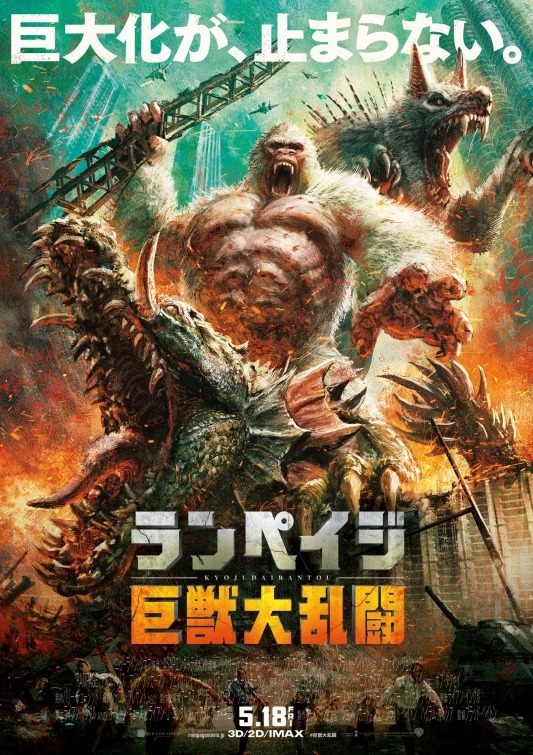 There is little in the way of nostalgia, or classic video game tropes on display in this Kaiju-infused Japanese key art for Rampage. I cannot tell if it is hand-painted or digital mimicry, but it seems quite fitting for the material. 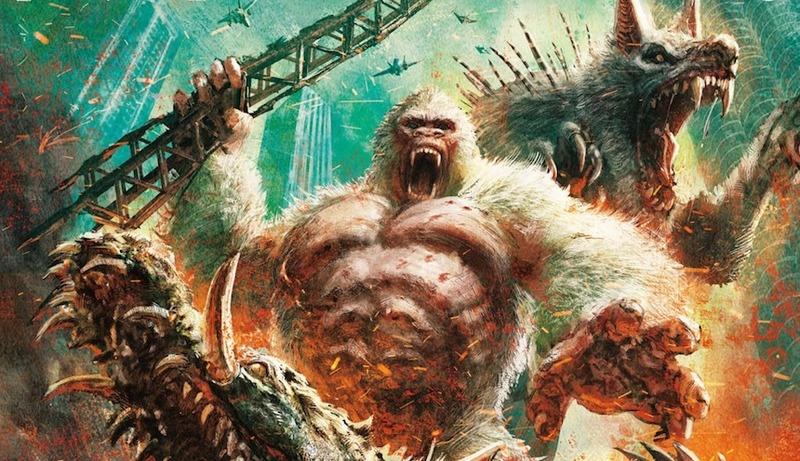 Call me a cynic, but you know the film will not be as inspired as its marketing material, but you will get a chance to see for yourself, on April 13th, if Canadian director Brad Peyton (San Andreas) and The Rock can deliver on the promise of American Kaiju action.